DIRTBUSTERS are Ireland’s leading independent provider of cleaning services to the construction, industrial, domestic, retail and office sectors. DIRTBUSTERS is Ireland's leader in cleaning for industrial, domestic, office and retail cleaning sectors. We have developed a safe and effective multi-stage process that ensures 100% removal of gum deposits and a consistent high quality finish. Our school cleaning and maintenance service guarantee specific routine cleaning. Providing students with an inviting and clean learning. We have vast experience in cleaning and restoring carpets. We believe we currently offer the highest quality carpet cleaning services in Ireland. 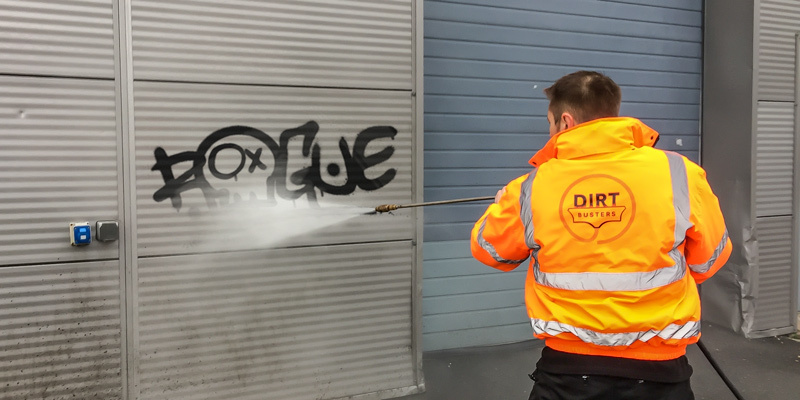 Dirtbusters offer a comprehensive graffiti removal service, we include applications post-removal helping to prevent further vandalism. The damage caused to any property by smoke and fire represents possibly the most daunting clean-up challenge to any homeowner. Dirtbusters offer both maintenance aswell as one-off cleaning solutions providing the full range of cleaning services necessary to make newly constructed residential, commercial and office buildings ready for handover. From builder's initial clean to re-clean aswell as the specialist cleaning services we provide, we believe we can deliver the best possible service available in Ireland today... Let Your Cleaning be our Problem! DIRTBUSTERS are Ireland’s leading independent provider of cleaning services to the construction, industrial, domestic, retail and office sectors. Proud to offer a complete turn-key solution, we are regularly involved with some of the most prestigious construction projects run by many of the largest construction and development companies in Ireland.